Our roofing teams are experienced in the installation of many different kinds of flat roof. In recent blog posts, we’ve talked about the features and benefits of insulated roofs and built up felt systems. This week, we thought we’d take a look at Glass Reinforced Plastic flat roofs. Glass Reinforced Plastic, sometimes known as fibreglass, is a plastic polymer substance that has been reinforced with tiny strands of glass. Like plastic it doesn’t weigh much and can be moulded into shape, but the glass fibres make it much stronger than plastic. GRP is an extremely versatile material. It is used in the manufacture of kayaks, sports cars, water slides and wind turbines, and has several uses in the building industry, especially roofing. Strength. GRP’s high strength-to-weight ratio means that it can hold a lot of weight. This makes the substance ideal for balconies and green roofs. Durability. 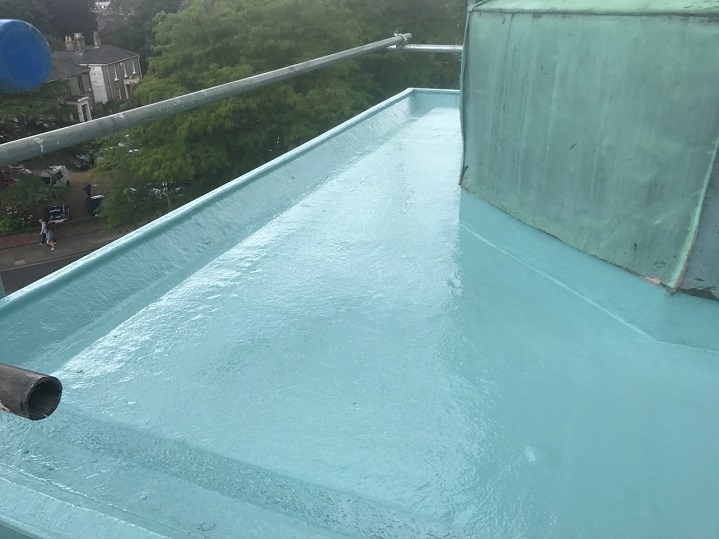 We would expect a properly installed GRP roof to last 30 years with no measurable deterioration in the British climate, and some may last much longer than that. Seamless. There are no joins on a GRP flat roof, they are applied as a single unit that will completely cover the timbers below. Watertight. One of the main priorities of any roof. GRP roofing systems are extremely water-resistant. Versatility. We’re focussing on flat roofs today, but GRP is also a suitable substance for pitched roofs. The fact that you can choose the colour means that GRP also makes a good replacement for decorative metal roofs – we’ve even installed GRP replacements for copper and lead roofs on church buildings. 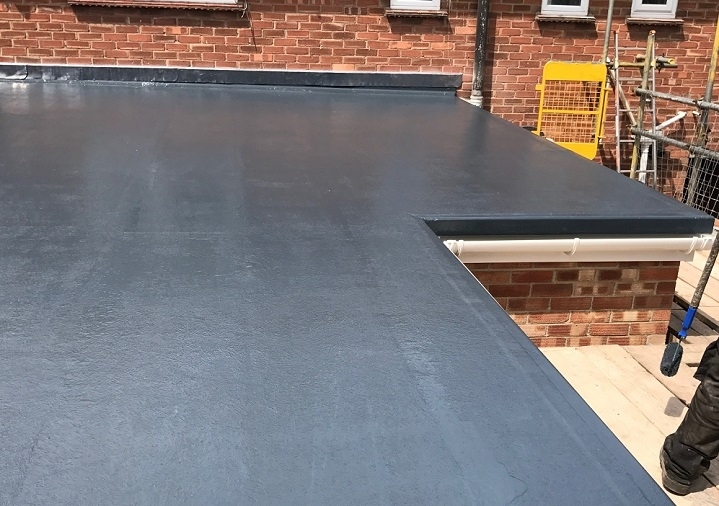 At RG Leverett, our roof contractors have passed assessments that permit us to install high quality GRP roofing from industry leading manufacturers such as Polyroof and Topseal with a 25-year guarantee on materials and labour.